As a new parent, we want nothing more than a happy baby. Hearing your baby cry can be difficult and stressful. While you know crying is a part of the package, you perhaps never imagined that your baby could be crying for hours on end. Don’t stress too much – it’s called the Witching Hour! Dealing with a fussy baby can be very overwhelming. 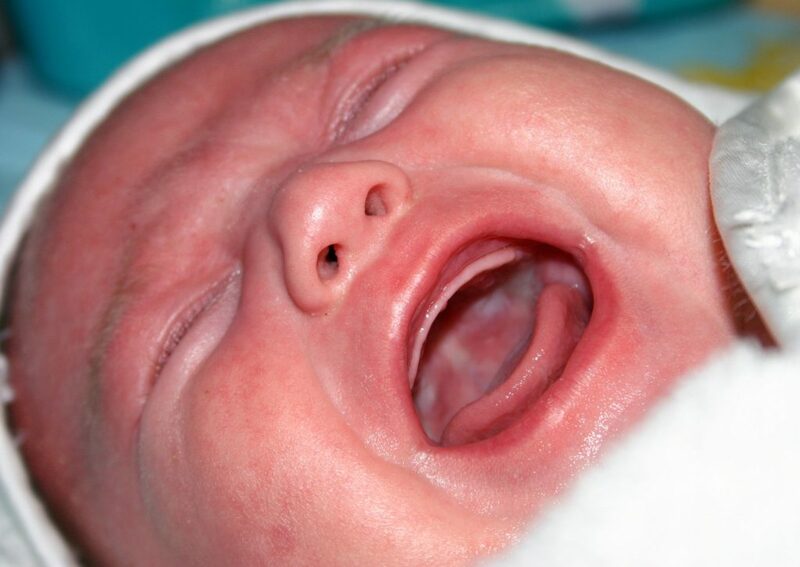 Many babies go through a phase in which they cry continuously for a certain period of time each day. This can be especially stressful because they are often difficult, if not impossible, to console. 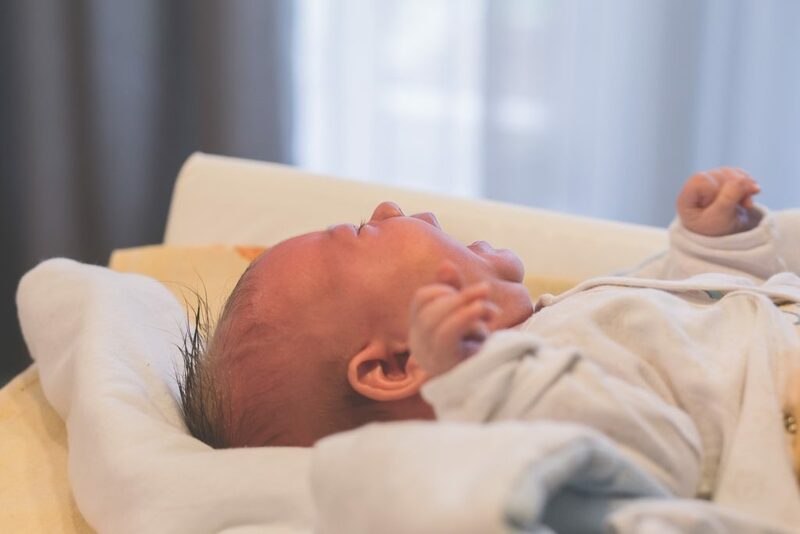 If you have a baby going through one of these fussy phases, the most important thing to remind yourself is that you are not alone and… this is normal. Although it can be very stressful, it really is just a short time in the grand scheme of things. The best way to handle this is to simply accept that some babies go through this! It is what it is! This has nothing to do with you or your parenting skills. It doesn’t even have anything to do with your baby, per se. Try to understand why its happening and try to follow the advice below as best you can, to hopefully avoid the witching hour. What is the witching hour for babies? Effective ways of dealing with the witching hour. The baby witching hour refers to a period of time each day that very young babies cry uncontrollably. During this time, parents often feel quite helpless, as it can be difficult to comfort your baby. If you are a nursing mother, this hour may mean your baby is constantly at the breast. Although, often the little one will still be fussy and frequently pulling away upset. This can be especially difficult because this means much of the work falls on the mother. In this situation, it is very important that you find someone to help you during the times when your baby will be extra needy. For most babies, this starts about 2-3 weeks after birth. It often peaks by the time the baby is 8 weeks old. This can be a difficult time especially for new parents who are just getting used to taking care of a new baby. The baby witching hour usually occurs in the late afternoon or evening. Although the term “hour” can be deceiving. For some babies, it does last about an hour each day. For other babies, the crying can last quite a few hours and it may feel like there is little you can do to help. What Causes The Baby Witching Hour? Many believe that there is no real cause of this phase. However, there are a few things that could potentially cause your baby to act and feel upset. If you assume this is out of your control, you may be missing out on an easy solution. Colic is typically caused by gas. This can make a baby very fussy and it is not uncommon for this to happen more frequently in the evening hours. 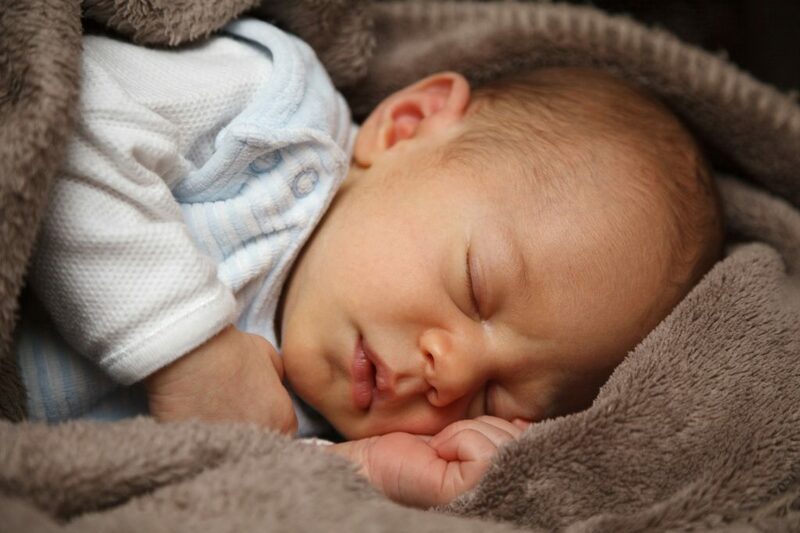 If you sense that your babies fussiness is due to colic, take steps to try to reduce gas. – Burping your baby multiple times during feeds, rather than just after a feed. – Changing your baby’s formula, for formula fed babies. – Adjusting your diet, for breastfed babies. Very often, it is mother’s diet that causes discomfort for breastfed babies. Something a simple as the mother drinking cow’s milk, could be a cause for baby’s discomfort. Speak to your pediatrician if you suspect this. – Holding your baby upright after feeds to help with digestion. This seems obvious, but new parents are tired and often need gentle reminders! Try to feed your baby to make sure the little one is not fussing because they are simply hungry. Over-tiredness is often a cause of fussiness. Newborn babies need a ton of sleep. Many sleep as much as 18-20 hours a day! This means your little one will only be awake for several hours total. So, let him sleep when he needs to and avoid waking him. Their little bodies are growing quickly and they need that rest. Plus, you may find that they will sleep better at night if they get the sleep they need during the day. Babies are just getting used to using their senses. Loud noises, strong smells, bright lights, and other big sensory things can really overwhelm your little one. Your mood can definitely affect your baby’s mood. If she senses you are stressed, she is likely to feel stressed also. This is easier said than done when you have a very fussy baby. Take a deep breath and remind yourself that this is very normal and that this is only a short phase in your little one’s life. Make yourself comfortable so that you can try to relax. Get into some pajamas and make sure you eat and drink when needed. Your needs are just as important as your baby’s. Nursing babies tend to demand the breast during this time. Sometimes, they constantly seem to pull away while nursing and fuss. This is normal. Let your baby feed and work out their struggles. His fussiness does not necessarily mean you do not have enough milk or a nursing problem. If he is nursing fine other times of the day, then it is likely that his mood is just a result of the hour and will work itself out over time. However, as suggested above, DO contact your pediatrician if you suspect baby’s fussiness is digestion related. Remember that your baby just left the most comfortable environment possible – the womb. In the womb, your baby had everything she needed and never felt discomfort. Try to simulate the womb by swaddling your baby. Turn down the lights and turn on some soft white-noise . Hold your baby close, because even your scent reminds her of the womb and will bring her comfort. Fussiness can be caused by your baby being overtired. So, avoid waking your baby when you can. In the first few months, they are supposed to sleep very often. Let her get the sleep she needs all day long to potentially avoid any fussiness later in the evening. While very young babies do not necessarily need a routine to fall asleep, they may start to feel comfort from the familiarity of the routine. A typical routine may include bath, bottle, and books, in the same order every night. Over time, your baby will begin to expect these things and may feel comforted by them. 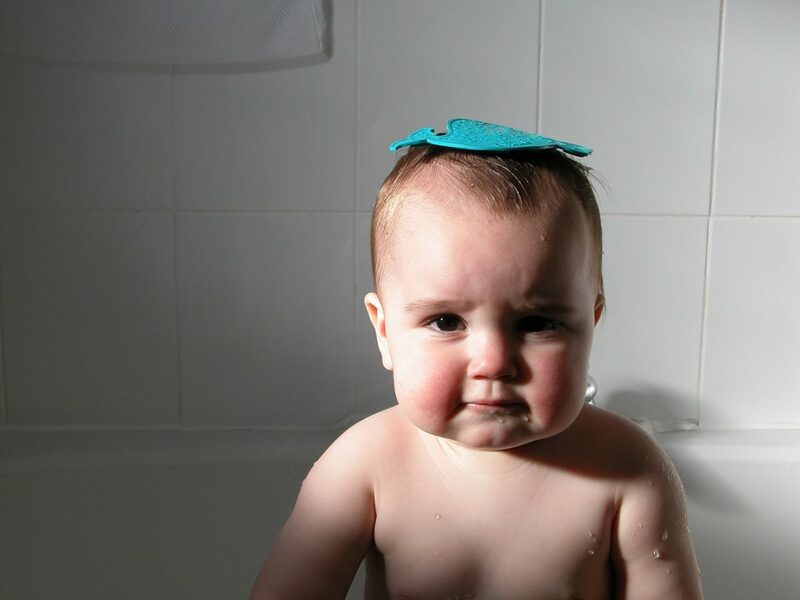 Do not be afraid to try to have a little fun with your baby during his fussy time. You may just be able to snap him out of a nasty mood. You know what your baby likes best, so try some of his favorite things. Maybe he loves a soft tickle on the toes or the shake of his favorite rattle. Yes, engage with your baby but don’t take it too far. Younger babies prefer soft, gentle activities. So, do not overstimulate your little one by playing too rough. You may just end up with a fussier baby than you started with. Sometimes simply stepping outside can immediately stop a baby from crying. Weather dependent, this may be one of the fastest ways to turn her mood around. It may be the fresh air or even the temperature change, but it often works like a charm. Some babies find baths very soothing. Not only might this calm your fussy baby, but it may also help him sleep better if done just before bedtime. Be sure to set up the bath with the right environment: a warm, low-lit bath will go over much better than a cool bath in bright lighting. You will start to catch on very quickly as to what time your little one will start fussing. It will seem like clock-work every single night. While this can be frustrating, at least you know it is coming. Be prepared by making sure you have everything you need for yourself and the baby. Make sure you are comfortable and well-fed so that you can spend that time focusing on the little one. Also, make sure you have everything you will need to try to calm your baby. After just a few nights, you will realize what works best and you will want those items on hand for when the fussiness begins. If you have a partner at home, let them help. Perhaps you two want to switch off days so you each get a break. Or, you may prefer to take the baby every 30 minutes or so. Whatever works best for you two will also be best for the baby. If you do not have a partner at home, try to enlist a friend or family member for help. This phase will not last forever, but it sure can feel like it. Ask someone to come over to relieve you when needed. Taking care of yourself is important and taking breaks is part of that self-care. Sometimes, you will try everything and nothing will seem to calm your baby. That is okay. 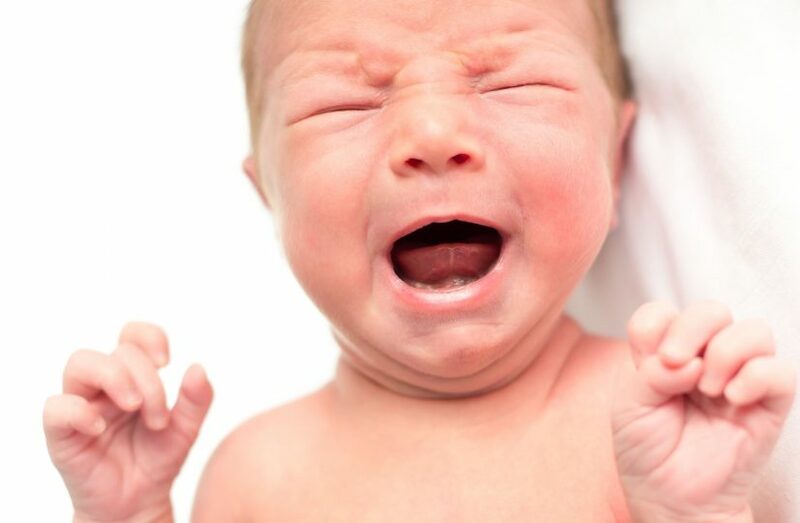 Here are 33 proven ways to calm your fussy baby. One of them is likely to work but if it doesn’t, remind yourself that even if your baby is crying, she is loved. This phase will not last forever and you will hardly remember the cries a year from now. It will get better! This phase will likely drain you, as a mother and as a person. Here is a bit of humor and advice on how to get the rest you need. When do babies outgrow the witching hour? The good news is that this fussy phase does not last long. Most babies grow out of it between 3-4 months old. While this can seem like an eternity while you are in it, this time will feel like just a small hiccup in the long run. If your baby is currently in this phase, hang in there. Remind yourself that you have, at most, a few months of this and it will soon be behind you and your little one. As a mother of 5, I hear you! The last thing you want to hear is that this witching hour thing could actually last until month 3 or 4. Here’s the thing – I experienced this witching hour with my first 2 kids but not with the other 3. I believe the reason is because I just learned a few tricks. As a new mother, I thought babies go to sleep when they are tired or they simply accept milk when they are hungry. Nope. You literally have to think for your baby about everything and constantly ensure that he/she is fed regularly and put to sleep when it’s nap time. And definitely – do not over-stimulate your baby. I realize that it’s very tempting to over-stimulate a baby but this is what I believe leads to that witching hour because your baby cannot simply “turn off.” And when he/she is tired, your baby cannot simply “go to sleep.” It doesn’t work that way so you have to preempt everything! Create a routine and follow it. Your baby will come to recognize the routine and that routine will become your best friend in preventing the witching hour. And when you feel drained, read real advice from mothers like you, who have been there. It will make you feel less alone.